A lot of people are suffering from hair loss without knowing the reason behind it, leaving the appearance that bad, especially for women and instead of treating this problem, moving to other alternatives such as extensions and wigs.. etc. Only for the treatment of hair loss you must know the reason, which leads to hair loss, and treating or avoiding this reason, the hair to grow back again as it was before. In order to get healthy hair, you have interest in a two-part hair, strands of hair and hair roots or follicles in the scalp, just like the plants if the roots in the soil destructible, perish the whole plant. If fed the roots of the necessary elements you'll find a strong and prosperous plant. So you have interest in the scalp as a first step for the treatment of hair loss, and the treatment of related diseases such as psoriasis - lupus - dandruff - the lice, as each of these diseases may lead to hair loss, you can also use some of the products that help moisturize the scalp, which contain some nutrients to the hair follicles. It is one of the skin diseases that affect the scalp or other parts of our bodies, which cause hair loss and destruction of hair follicles may we infected disease alopecia for several reasons including genetic factors, hormonal imbalance, excessive hair styling and immune disorders, where it is classified as one of the autoimmune diseases that attack the immune hair follicles. A) take care of your hair something inevitable and stay away from hair styling and frequent use of curling irons, heating up Repeated and other methods harmful to hair. B) the use of cactus oil contains a lot of vital elements that help to strengthen the hair follicles, only massage your scalp daily with it. C) proteins and iron: the main component of hair is a protein therefore lack the protein the body may cause hair loss, examples of foods rich in protein meat, fish, eggs, beans and broccoli, while the iron is very important for blood cells and the transfer of oxygen to the hair follicles and nutrition, iron-rich foods liver and oysters and raisins. D) Minoxidil: You can use minoxidil to treat alopecia areata - Just massage your scalp twice a day, the results appear certain in most cases. The thyroid gland at the bottom of the neck secretes thyroid hormones, which in the process of the body's metabolism, but may be overly secrete thyroid hormones (Hyperthyroidism), or may secrete hormones in quantities less than usual (hypothyroidism), and in both cases may lead to hair loss and many other symptoms such as inflammation of the stomach lining. A) better for you to see your doctor to prescribe you medication helps to restore thyroid hormone levels to normal. B) general guidelines may help to improve hair growth, such as, eating foods rich in protein, iron and zinc, as you can take some supplements such as biotin, in addition for attention to your hair and stay away from anything that might strain its, such as harsh products. Treatment of scalp diseases: such as lupus, psoriasis and dandruff all of these skin diseases may affect the scalp, may be due to genetic factors or immune or even excessive production of sebum as in dandruff, and treating each type of these diseases back hair to grow. In this period of hair loss is caused by Hormonal factors as hormones female (estrogen and progesterone) begins to fall, then rise rate of male hormones (testosterone) with stops ovulating, so may women suffer from hair fall is similar to the suffering of men. A) Diet balanced as much as possible of nutrients such as protein, iron, zinc, fatty acids, eat more vegetables and fruit, with some taking supplements such as biotin and vitamin B. B) Finasteride: Ladies can postmenopausal use of finasteride to treat hair fall, prevents use for women of childbearing age. 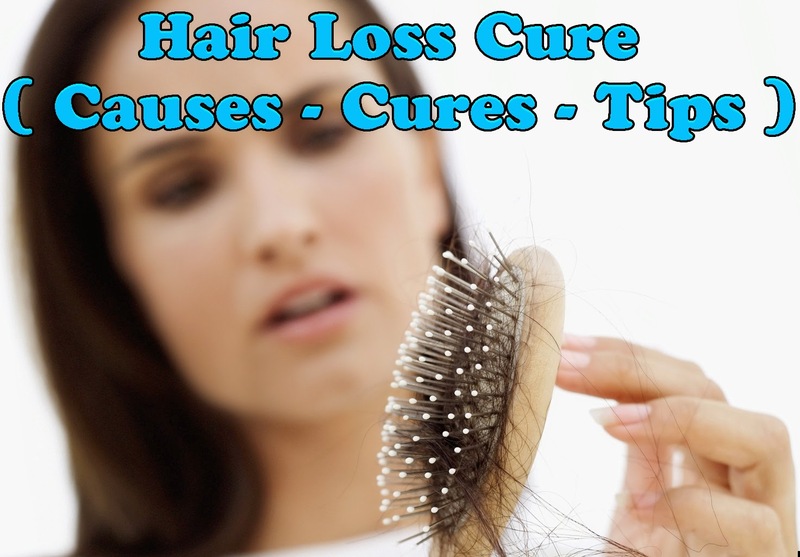 This is not the end, where there are many reasons, for more information about hair loss cure. If you suffer from hair loss sudden you need to see a doctor to diagnose your condition and tells you the reasons for hair loss, and choose from among the solutions best suited to you in order to begin treatment.